Pickleball, it's becoming kind of a big dill. "It draws people. The minute they put the paddle in their hand, they are addicted," said Karen Dees, a pickleball player. "Yes, we are addicted, agreed," said Bernadette and Kendall Montgomery, pickleball players. What is this fast growing sport? "You have a racket that is a little oversized than the ping pong and you have a tennis court that is smaller than a tennis court and you have dinking which is the short game," said Karen Dees, a pickleball player. 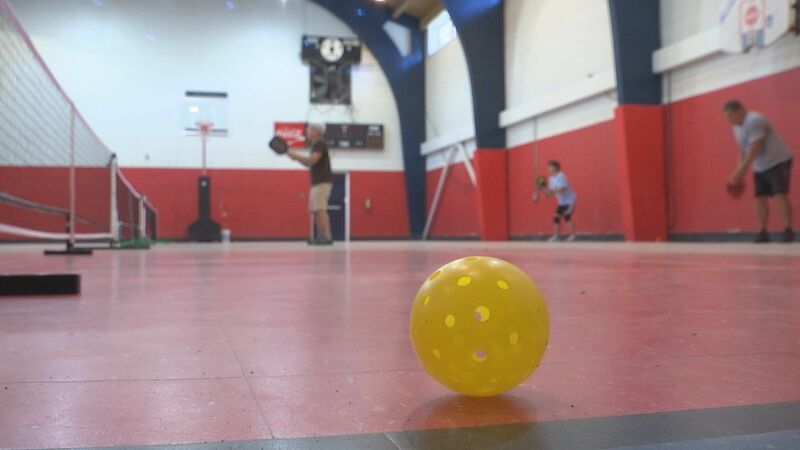 This odd named sport is gaining popularity in our area every day. For instance, the jubilee pickleball club in Daphne started with roughly 25 members.... A year later they have nearly 70 athletes involved. "This is a sport that every age group can play, every skill level can play and it's a very social activity," said Dees. For cancer survivor Karen Dees, pickleball has given her a new sense of life. "It gave me a new reason really get up and get moving," said Dees. It has even helped marriages. "Pickleball makes us stay together because we both enjoy it and we enjoy being together at the same time and it's something we can do together," said Bernadette Montgomery. Even though pickleball has brought communities and marriages together the sport itself can be intense and of course everyone likes to win. "Actually to be honest I rather play against him because I like to beat him," said Bernadette Montgomery.